U.S. President Donald Trump's pick to lead the FBI declares he will not let politics get in the way of the bureau's mission, saying its work will be driven only by "the facts, the law and the impartial pursuit of justice." U.S. President Donald Trump's pick to lead the FBI declared Wednesday he will not let politics get in the way of the bureau's mission, saying its work will be driven only by "the facts, the law and the impartial pursuit of justice." Christopher Wray, a former Justice Department official selected for the job last month after Trump's firing of James Comey, appeared before the Senate Judiciary Committee in a hearing focusing in part on the political tumult surrounding his nomination and the ongoing investigations shadowing the White House. Asserting his independence, Wray said, "My loyalty is to the constitution and the rule of law. They have been my guideposts throughout my career, and I will continue to adhere to them no matter the test." After Trump dismissed Comey on May 9, the ex-FBI director said that the president had asked him to pledge his loyalty during a dinner at the White House months earlier. 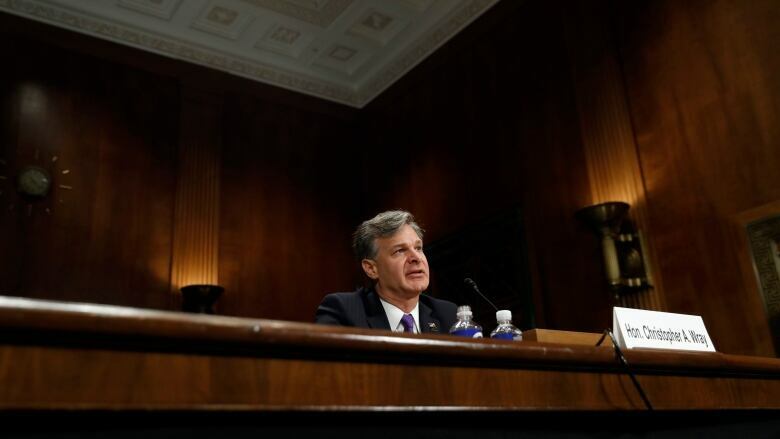 Wray, 50, would inherit the nation's top law enforcement agency at a particularly challenging time, given the abrupt dismissal of Comey and the year-long FBI investigation into whether Trump associates co-ordinated with the Russia during the presidential campaign. At the hearing, Wray said attempts to tamper with a special counsel investigation into Russian election meddling would be "unacceptable." 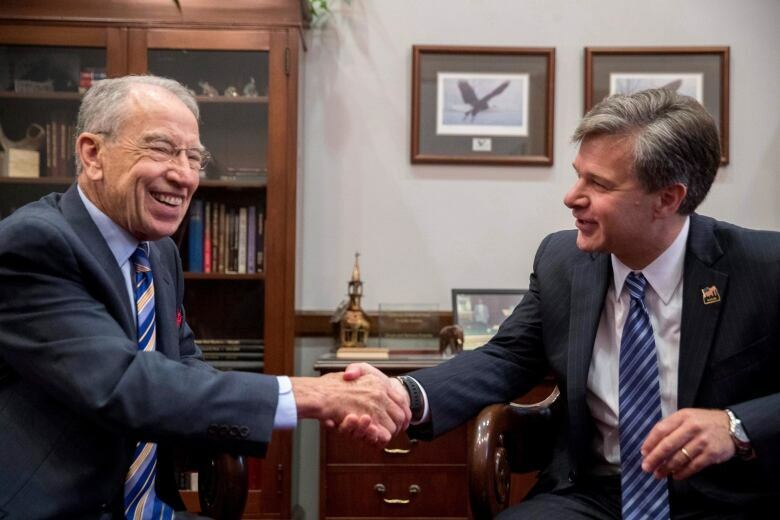 Wray said he would inform the Senate Judiciary Committee of any efforts to interfere with that probe, as long as he wouldn't be breaking any law or hindering the investigation by revealing such information. His comments came under questioning by Senator Dianne Feinstein, the committee's top Democrat, about special counsel Robert Mueller's Russia investigation. Wray said he is "committed to supporting" the investigation "in whatever way is appropriate for me." He added that any efforts to tamper with the process would need to be dealt with "very sternly." He said he views Mueller "as the consummate straight shooter. Someone I have enormous respect for." 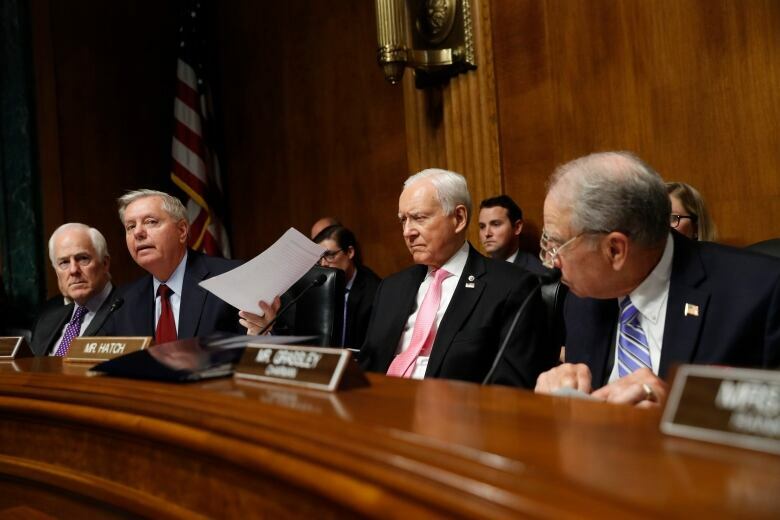 Announced as the nominee in a curt, early morning tweet by Trump, and without the pageantry of a Rose Garden ceremony, the hearing will offer the first public, close-up look at Wray's background. Those close to him say he's the right man for the job. Attorneys and FBI agents who have worked with Wray describe him as a steady hand, dedicated and low-key, seemingly impervious to political influence. An association representing the majority of FBI agents on Monday voiced its support for Wray, saying "he understands the nature of investigative work and the centrality of special agents to the mission of the FBI." Bill Mateja, a Dallas attorney who worked with Wray in the Justice Department, said "he has a great moral compass and he's no one's minion." Trump allies have said Mueller's closeness to Comey shows he can't lead an unbiased probe. But Trump nominated Wray despite his having worked alongside both men in the Justice Department. 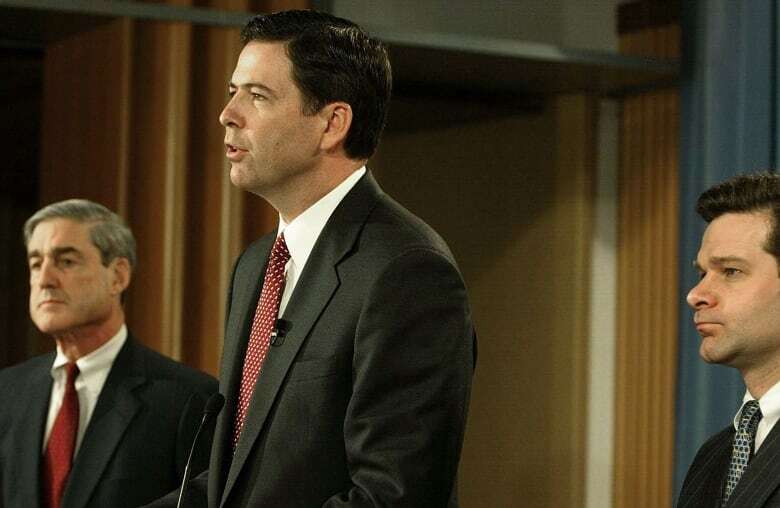 Wray was at the department in 2004 when Comey, then the deputy attorney general, and then-director Mueller threatened to resign during a dispute with the White House over the reauthorization of a domestic surveillance program. Wray stopped Comey in the hallway one night amid resignation rumours with a particular request, according to the 2011 book, The Threat Matrix. "Look, I don't know what's going on, but before you guys all pull the rip cords, please give me a heads-up so I can jump with you," Wray is quoted as saying. Those who know him say that unlike the outspoken Comey, Wray would be a more reserved leader. His reserve could bode well for the agency at a time when its work has been thrust into the centre of a political maelstrom. He has deep experience in Washington, having served as head of the Justice Department's criminal division in the Bush administration, a position that had him overseeing major criminal prosecutions — such as the special task force investigating the Enron collapse — and also developing the U.S. government's legal response to terrorism and national security threats. Civil liberties advocates have urged senators to press him on his involvement in national security matters during that period, when the government authorized harsh interrogation techniques and routinely shipped terrorism suspects captured on foreign battlefields to Guantanamo Bay, Cuba. Redacted emails to and from him are included in an ACLU database of memos on the interrogation and detention of terror suspects. Wray also defended large corporations and financial institutions in criminal and civil cases. He provided legal services to Johnson & Johnson, Wells Fargo, Credit Suisse and fantasy sports providers DraftKings and FanDuel, among other big-name clients, according to ethics documents released Monday. If confirmed, he'll have to step aside for a year from matters involving those clients and the firm. He also assisted New Jersey Gov. Chris Christie during the so-called Bridgegate scandal. Still, Mateja predicted "smooth sailing" for Wray. "Chris is a Republican but he doesn't wear his politics on his sleeve. He keeps things close to his vest," Mateja said in a statement. "The public can rest easy that Chris will not be a lackey for Trump."